Disease in pregnancy. Artwork illustrating the effects of chronic infection during pregnancy on an unborn child's immune system. 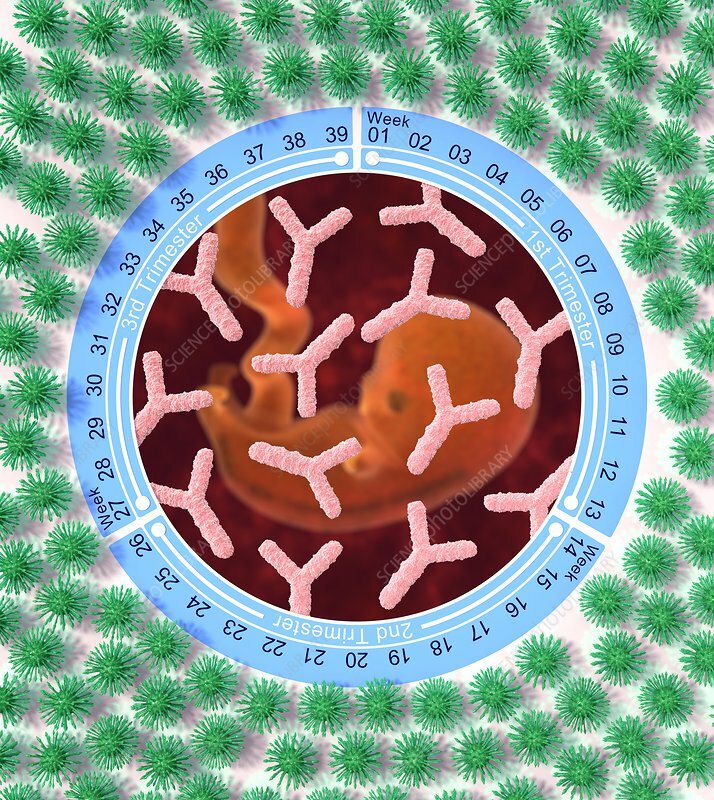 In the inner circle is a developing foetus overlaid with Y-shaped antibodies (also known as immunoglobulin). These are a key part of the immune system. Changes in the mother's immune system protect both her and the developing foetus from infections, representing by viruses (green). The numbers around the circumference represent the 40 weeks of a full-term pregnancy, divided into three trimesters of 13 weeks each.